On Tuesday, Turkey shot down a Russian warplane that was carrying out military operations against jihadi groups in Northern Syria. The downing of the Su-24 fighter jet is part of a broader plan by the administration of Turkish President Tayyip Recep Erdogan to topple the secular government of Syrian President Bashar al Assad and to establish “safe zones” on the Syrian side of the Turkish-Syrian border. Erdogan needs the safe zones to provide a sanctuary for the militant extremists who are the footsoldiers in his war against Syria. The downing of the Russian fighter is a desperate attempt by Erdogan to incite a reaction from Russia that will draw either NATO or the United States deeper into a conflict which has dragged on for 4 and a half years and killed 250,000 people. Unlike the Obama administration, that has been willing to arm and train jihadi groups to conduct its proxy-war against Assad in Syria, Erdogan is a true believer, a committed Islamist who has done everything in his power to roll back democracy in Turkey, to establish one-man rule, to destroy the independent judiciary, to silence the free press, and to establish a conservative and intolerant Islamic state. Erdogan is what many would call a “Koolaid drinker”, a man who believes that his support for disparate and vicious terrorist groups that have decimated Syria, laid its civilian infrastructure to waste, and displaced more than half the population is “God’s work”. Make no mistake, the Turkish government is the modern-day Caliphate. The fact that its government officials dress in nicely-tailored suits rather than black pajamas, is merely a way to divert attention from their extreme fanaticism and their covert support for liver-eating fundamentalist savages. Can you see what’s going on? The Russian-led coalition is closing in on the Syria-Turkish border which will put an end to Erdogan’s dream of toppling Assad or continuing to fuel the war with terrorists that are provided a safe haven on Syrian soil. 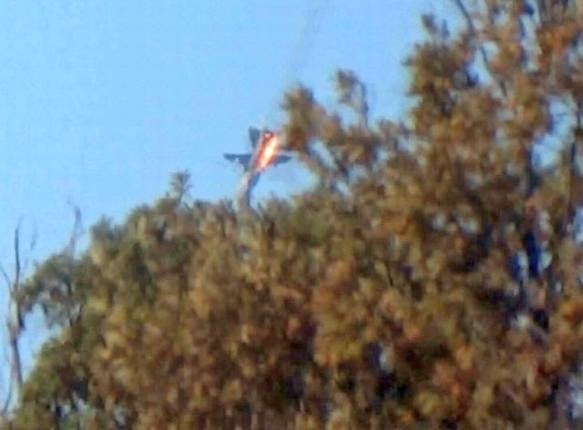 This is why the Su-24 fighter was shot down on Tuesday. It is a desperate attempt to salvage the failed strategy of toppling a secular government and replacing it with friendly Islamic extremists who hew to Erdogan’s twisted worldview. Speaking to reporters late on Nov. 22, Davutoğlu recalled that he was engaged in constant contact with both Chief of General Staff Gen. Hulusi Akar and National Intelligence Organization (MİT) Chief Hakan Fidan over the weekend concerning alleged Russian air raids on Turkmen villages near the Syrian-Turkish border. Sources, meanwhile, told Reuters that Davutoğlu had consulted on the intelligence dimension of the issue with Akar and Fidan. “Our security forces have been instructed to retaliate against any development that would threaten Turkey’s border security,” the prime minister said. “If there is an attack that would lead to an intense influx of refugees to Turkey, required measures would be taken both inside Syria and Turkey,” he added. “Looking at background of these attacks, in a region where very clearly there is no element of Deash (ISIS), where there is no terrorist element, first Russian airplanes come and then with support from foreign fighters. “Several trucks bound for Syria were stopped at the beginning of last year by Turkish gendarmerie forces upon instructions by a prosecutor. It turned out they contained weapons. The AK Party government claimed for months that the trucks only included humanitarian aid, but a report published by the Cumhuriyet daily in May last year revealed that the trucks contained weapons. According to the daily’s report, a truck, which is thought to be one of many, contained 1,000 artillery shells, 50,000 machine gun rounds, 30,000 heavy machine gun rounds and 1,000 mortar shells. So what is the game-plan here? What is Turkey really up to? 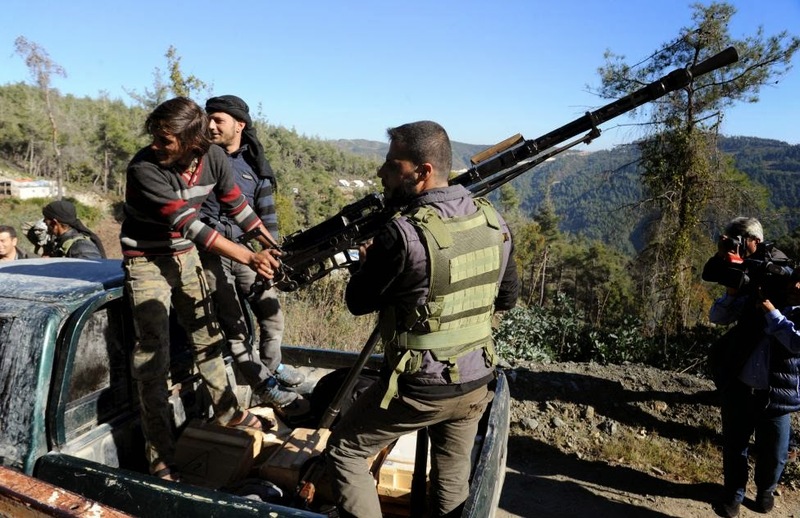 “Syrian opposition groups supported by Turkish and US warplanes took control of two Turkmen towns in Northern Syria early Saturday, Anadolu Agency reported….The operation was supported by six Turkish F-16s, four US F-15s and an AC-130 joined the offensive along with three drones. Security sources added that this success in the fight against DAESH that can be defined as the first step for the creation of a DAESH-free zone in Northern Syria…. Whether you call it an ISIS-free zone or not is irrelevant. The fact is, the Turkish government (with US air support) is trying to annex Syrian territory for its own nefarious purposes. That much is clear. The downing of the Russian Su-24 fighter fits perfectly with the way in which the Turkish government has been ratcheting up tensions on the border, using its jihadi allies to seize Syrian territory, and trying to incite a violent reaction that will force greater NATO or US involvement. I seriously doubt that Putin is gullible enough to take the bait and overreact to this obvious and pathetic provocation in Ankara. He will exact his pound of flesh at some other time, a time of his own choosing.